P&P Mather Transport Ltd is a family run business which was established in 1989 by Paul Mather Snr, now in partnership with his son Paul Mather Jnr. We are conveniently based in central Stockport, Manchester close to the M60 Ring Road. Our client base has grown year on year and the business is often the first choice for companies who require specialist hiab hire transport services. P&P Mather provide hiab hire transport services locally across the North West and throughout the UK. Our main priority when carrying out a job on behalf of our client is the safe lifting and transportation of loads to their destination safely and on time. P&P Mather Ltd are nationwide with fully equipped vehicles and trained operators ready to go and on call 24/7. 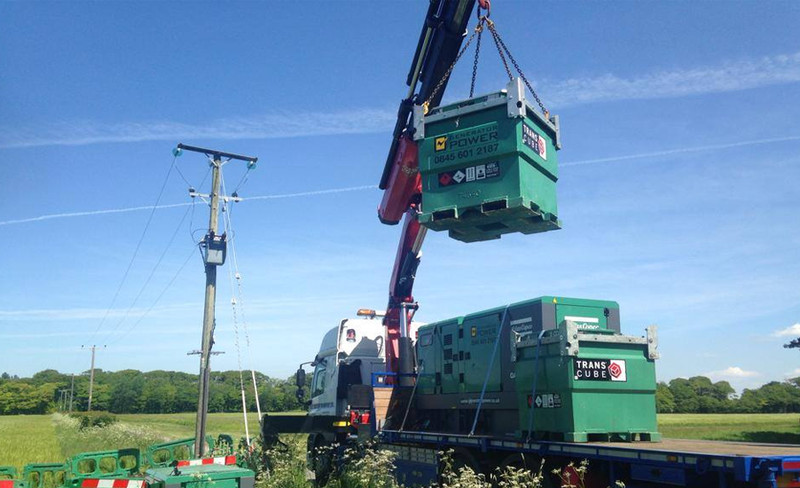 We specialise in lorry mounted crane hire and are currently working closely with power companies supplying vehicles to assist in the installation and replacement of sub-stations throughout the Country. See our clients. All our vehicles are fitted with the latest cranes for heavy lifting and long reach purposes enabling us to keep safety paramount at all times. Any work we carry out is always assessed prior to a job with RAMS in place suited to each individual project. All our vehicles are fitted with the latest cranes for heavy lifting and long reach purposes enabling us to keep safety paramount at all times. Our drivers are fully trained operators/slingers, but more importantly have the experience to lift and sling the most difficult of items. Both drivers and vehicles are fully ADR compliant, so you can be satisfied in the movement of your load. Machinery movements/installations is another area where experience comes into effect which helps when there are not always obvious lifting points on machines.